Here’s our fifth pattern block template, a rose pattern block template to celebrate the love in the air for Valentine’s Day. Here’s our fourth pattern block template, a jack-o’-lantern pattern block template just in time for Halloween! Sorry for the delay between postings. A jack-o’-lantern (formerly also known as a Jack o’ the lantern) is typically a carved pumpkin. It is associated chiefly with the holiday Halloween, and was named after thephenomenon of strange light flickering over peat bogs, called ignis fatuus or jack-o’-lantern. 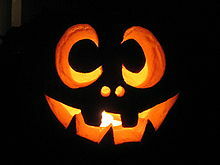 In a jack-o’-lantern, typically the top is cut off, and the inside flesh then scooped out; an image, usually a monstrous face, is carved onto the outside surface, and the lid replaced. At night, a light is placed inside to illuminate the effect. Our site uses Google Documents to generate a preview of the PDF's of each pattern block template. You can view the template in a new window to print, or click the corresponding PDF download link beneath each preview to open up the PDF. Pattern blocks not fitting on the template? Try adjusting your printing preferences to disable auto-scaling or fit to page settings and set this to 100% scaling so that the PDF prints out in full size accommodating the actual size of your pattern blocks! Contribute large or small, donations are welcome to help support the upkeep of this site!